Automeris tridens | Welcome, visitor! 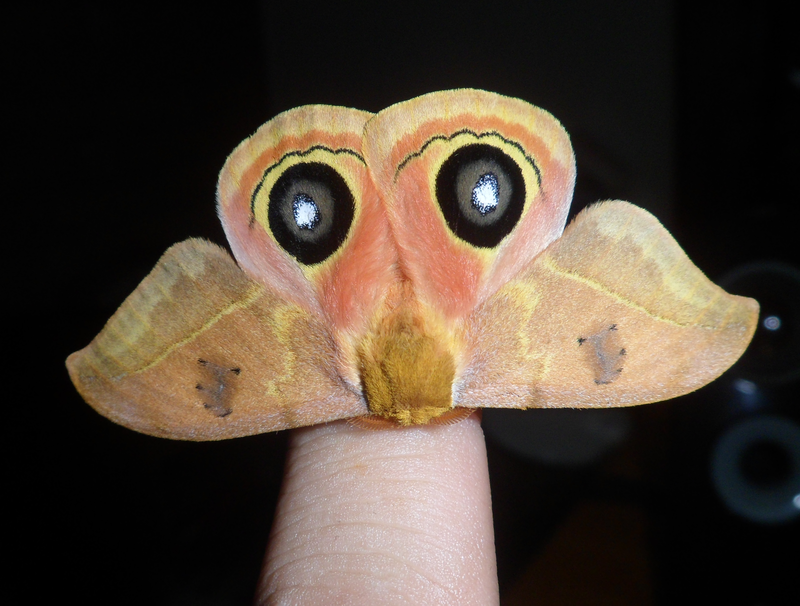 Automeris is a very large and diverse genus of moths with about 124 species – more are being discovered constantly. Typical of this family is the leaflike appearance. Their camouflage is however in contrast with the two remarkable and brightly coloured eyespots – they are usually hidden, but if disturbed, the moth will spread its wings revealing the eyespots, which might scare away predators. Automeris tridens is a neotropical moth and occurs in Costa Rica. Being part of the subfamily Hemileucinae, these moths are known for their spiny, stinging caterpillars. 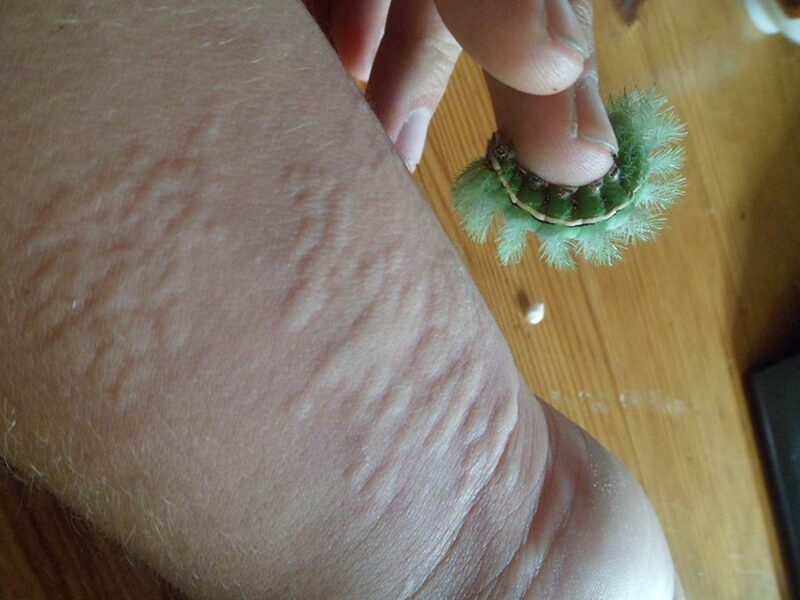 The caterpillars are covered with venomous spines and are able to deliver an unpleasant sting. To make this defense mechanism even more effective, they show social behaviour, feeding and resting together in groups. 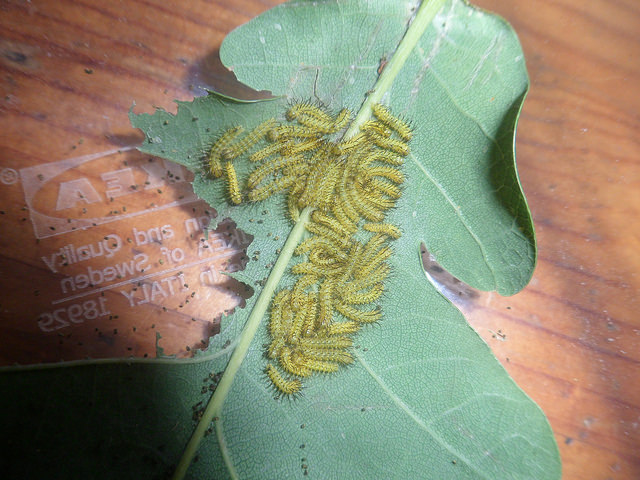 The caterpillars have been reported to feed on Oak (Quercus sp. ), Blackberry (Rubus fruticosus) and Privet (Ligustrum sp.). 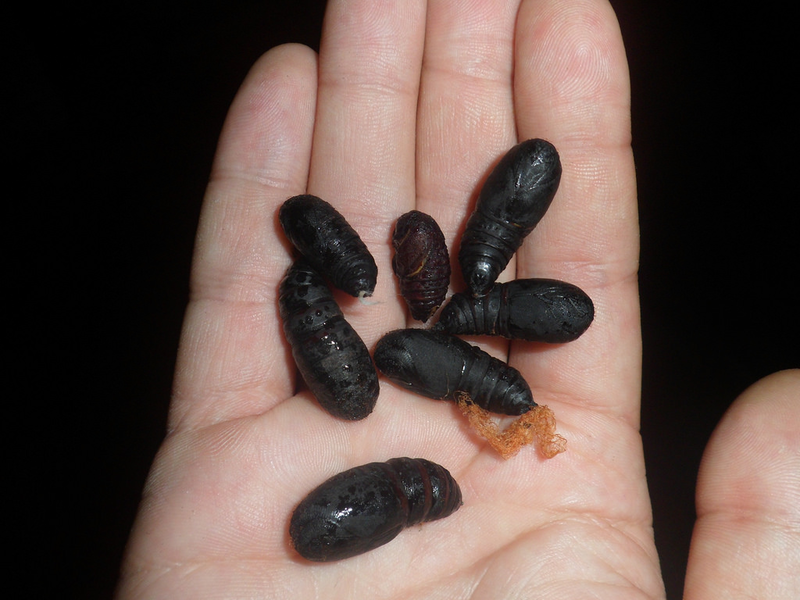 Important is to rear them in a high density in their younger instars, for they are social insects that prefer to feed in a group. 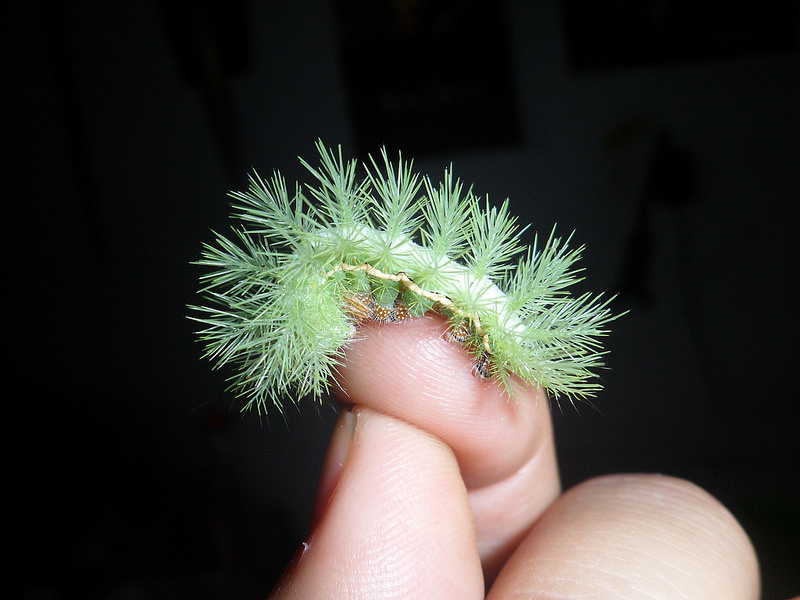 Automeris tridens is easy to raise in captivity, even for beginners. Important is to keep them clean and rear them in higher numbers, the bigger the group the more succesful you will be with rearing them, these thrive in larger numbers. The moths are sexually dimorphic, and the males are easy to tell apart from the females. The males have a brighter yellow colour, while the females are brown and slightly larger. Pairings can be very easy, but Automeris can be reluctant to pair with their own family. It is possible that if the moths are related and from the same bloodline, your Automeris may not be interested in mating with eachother. Otherwise they are relatively easy and problem-free. They spin a thin papery cocoon amongst leaves. Automeris can be reared quite well in plastic boxes, as they tolerate high humidity. If you decide to keep them in plastic boxes however, make sure not to keep them wet or spray them.